Square 50 located in the West End makes a splash in ArchitectureDC's Fall 2018 issue. 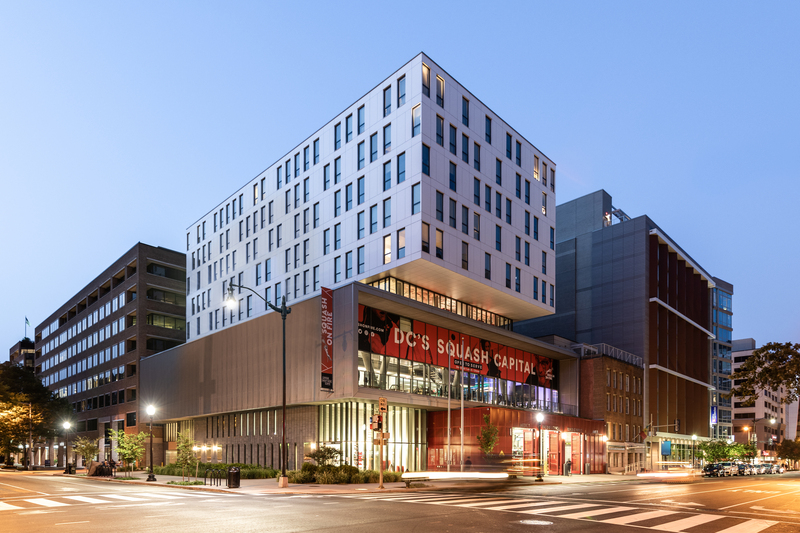 East Banc's newest mixed use development project includes strategically designed spaces for Washington, DC's Fire and Emergency Services Engine Co. #1 Fire Station, Squash on Fire's contemporary court facilities and well-appointed affordable housing apartments. A truly eclectic development project, it stands out in the West End as an example of creative design artfully integrated with extreme functionality. The apartment block sitting atop the squash court complex sports SWISSPEARL® CARAT Onyx 7099 fiber cement rainscreen panels supported by an ECO Cladding Alpha sub-framing system.